I chose to become an instructor after working in recruitment and training within the prison service for many years, as I wanted to redirect my skills into something more challenging and rewarding. I am a very active person with a real passion for sports, especially cricket, and I have three young children that keep me busy outside work. I have a passion for teaching new life skills, and see teaching peolpe to drive as a fantastically rewarding career option to pursue. I teach in an Automatic car as they have become so popular since the introduction of more Hybrid and electric vehicles in recent years, and are just as economical as manual cars. More people in London are now choosing to drive automatic cars, as you don't need to be constantly pumping the clutch up and down when you are in traffic. "Amazing driving instructor, makes you feel relaxed and comfortable. Passed first time in automatic. Thank you Mohsin"
"Mohsin is an amazing driving instructor... it was a pleasure learning with him, he’s patient and a wonderful teacher. Thank you once again I would definitely recommend him"
"Excellent instruction and highly recommended!! I am an experienced driver from the USA who moved to the UK and needed lessons to be comfortable and prepared for the UK driving test. The lessons with Moshin were very informative and helpful to prepare. I passed on my first attempt!!" "Mohsin is a really great instructor. Very patient and good at explaining things. I booked him for some refresher lessons but I'd recommend him to anyone." 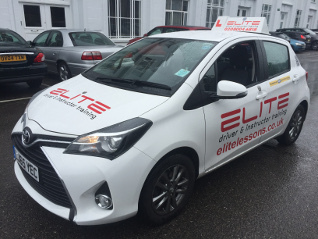 "I felt every nervous about finding a driving school with a good instructor because none of my friends really drive and if they had they had a bad experience but I’m so pleased I went with ELITE! Mohsin was my driving instructor and I couldn’t recommend him enough!!! I passed at West Wickham and I wouldn’t of be able to do without him! He always pushed me to be the best driver I can and he always had confidence in me when I didn’t, He helped me throughout driving From learning how to actually drive to the theory test and the actual driving test! And going over everything a million times to make sure I understood, he always made me feel comfortable and nothing was ever to much when it came to questions and wanting to go over things he had already taught me." "A massive thank you to him. Your a Credit to elite." "Mohsin is an extraordinarily patient, committed, and thorough teacher. He throws you in the deep end with a considerable amount of independent driving from the get-go, but he always complements hands-on practical experience with demonstrations, instructions, and feedback. He pushes you enough to improve your skills each lesson, but never so much as to put you in an unsafe situation on the road. Mohsin has an encyclopaedic knowledge of driving rules, ettiquette, and pitfalls, and there was not a single question of mine that he couldn’t answer (he even informed me about the history of windscreen wipers). It was clear from the few occasions where he had to use the emergency brake that he is switched-on and constantly attentive to potential hazards (he does not daydream in the passenger seat; his eyes are always glued to the road). Additionally, he is very flexible and accommodating when it comes to scheduling lessons — there were probably a dozen times that he let me re-schedule a lesson at short notice. Crucially, he is full of good banter, and definitely makes you feel welcome. 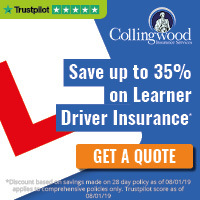 More than anything however, he is personally invested in your success in the driving test: it genuinely matters to him whether you pass or fail, and he goes the extra mile and then some to ensure that you are in the best possible position to pass your test." "I started from the beginning with Mohsin, from not knowing how to drive to passing my test today. I couldn't have asked for a better instructor, honestly. What I liked most about Mohsin was his clear instructions on how to perform various tasks, if I was ever unsure about anything he would go over it 100 times until I understood it well. Mohsin I can't thank you enough man, best instructor in Elite Driving School!" "Highly recommend to anyone who wants to pass whilst gaining valuable knowledge and experience in driving. Very knowledgeable of the road and really goes into details, details that other instructors or drivers may not know. Very approachable and friendly, and also accommodating, I felt very comfortable throughout my lessons, the best option if you want to pass quickly whilst getting good knowledge of the road"
"Very good driving instructors. Would definitely recommend. My instructor Muhsin Iqbal helped me through my theory test aswell. I definitely would have failed if it hadn’t been for him. Would definitely recommend to use." 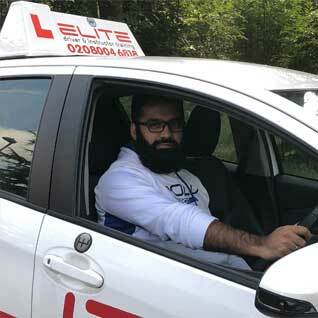 "Having had previous lessons else where and not having the best experience I felt very apprehensive about taking up lessons again...but after my first lesson with Mohsin at Elite I couldn't of felt anymore at ease! Mohsin is a professional yet friendly instructor who takes the time to not only build on your driving skills but also your confidence. Every lesson was not only knowledgeable but enjoyable and I looked forward to my lessons rather than dread them! I passed my test first time with 2 minors within a 2 month period and I honestly feel I couldn't of done that as easily with anyone else. I HIGHLY recommend Mohsin at Elite driving school for anyone looking to take up lessons...... Thank you!" "Whole experience has been exceptional, my instructor Mohsin is vastly experienced and it shows by the way he explains the process of driving. Very knowledgeable and approachable." "Highly reccommend for anyone who wants to pass as soon as possible whilst gaining the best driving knowledge." "Cleared the test on the first attempt.. Enrolling for the lessons was super easy.. Called up their number, was given clear details of available options and was promptly assigned an instructor.. Mohsin, my instructor, is just amazing.. He was able to immediately assess my capabilities and guided me in the right direction.. Every lesson had specific objectives and he knew exactly when I was "test ready".. He shared some amazing "Reference Points" that helped me master the manoeuvres." "Moh has been such an amazing instructor and I can't believe how supportive he was and how confident he made me feel. I 100% reccomened him. 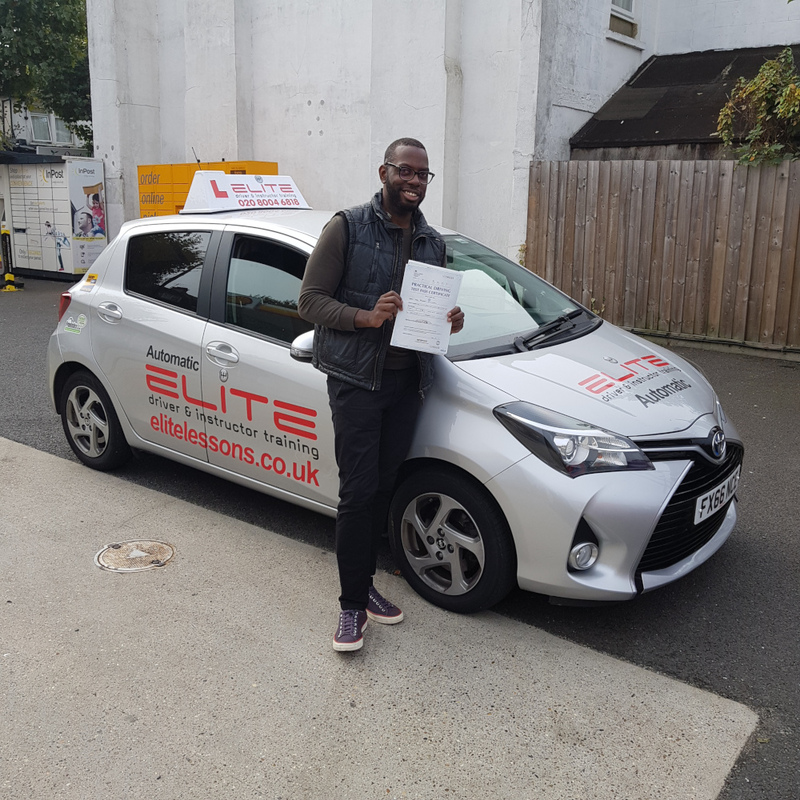 Thanks so much moh x"
"Due to a very tight work schedule I was extremely pleased with how easy it was to obtain lesson appointment with Elite Driving School on short notice. My instructor was Moshin and he is a true professional. Special thanks to his esteemed coaching skills, I managed to pass my practical driving test on first attempt. I am very pleased with the service and training I received throughout the process." "Great driving experience. Mohsin was a very good instructor and highly reccomend him." "I needed someone that would explain things in a calm way, and work with me at my own pace. Luckily I found this with Mohsin. Thanks so much!" 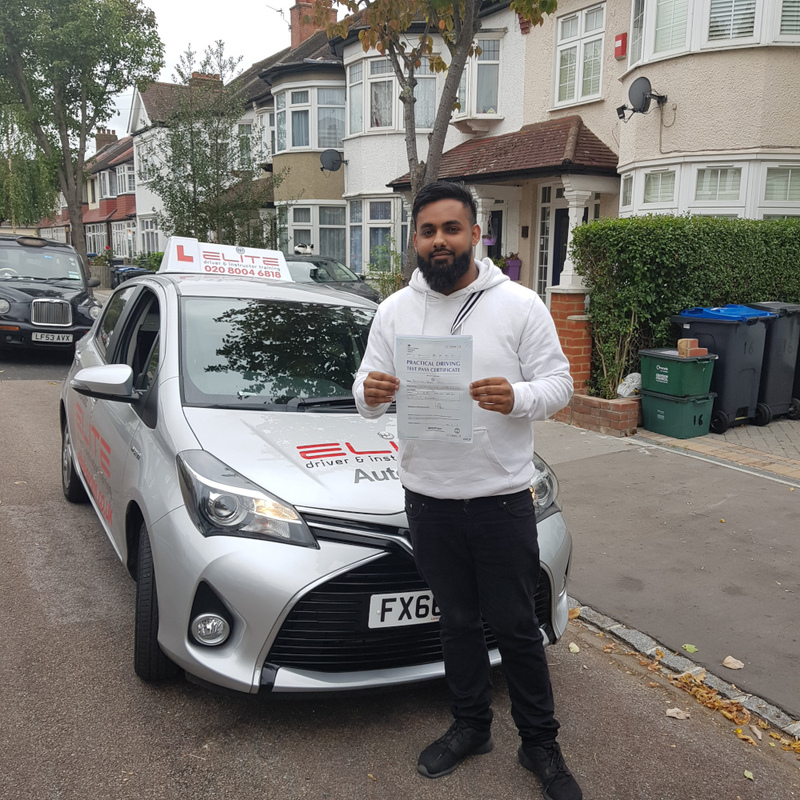 "My driving was already pretty good but driving instructor MOHSIN really improved me, made me more confident and a better driver with only a few lessons. Credit to him I passed on the first go. Great instructor."